I'mma let you finish... but this is the best pillow of all time. Made from 800-thread count Venetian linens, The Kanye Body Pillow is an opus in luxury. Our 72-inch pillow comes screen-printed with Moroccan Squid ink to provide an uparalleled journey of intimacy and panache. The updated 2015 model is stuffed with double the goose down for an experience that's even softer, better, faster, and stronger than ever before. 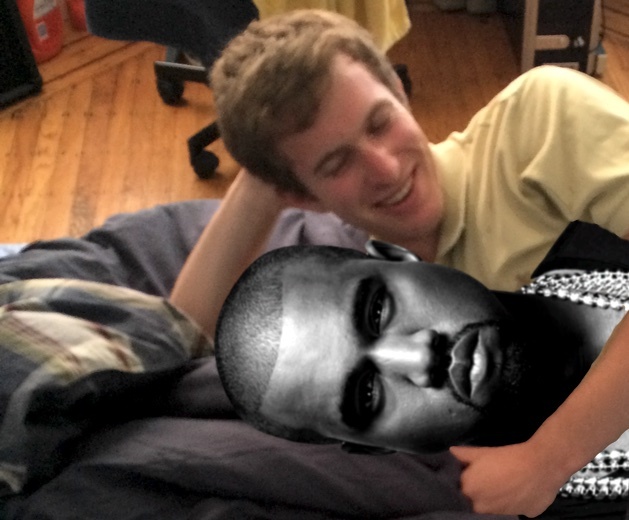 Ignore the haters and lose yourself in Yeezy's pillowy embrace. You're bound 2 love it.